Create new living space with modern orangery & conservatory extensions. 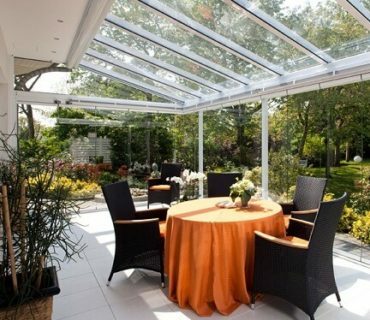 If you need more room around the house, an orangery or conservatory is the ideal choice. Not only do they create new space for the family, a good quality orangery or conservatory increases the value of your property. But what are your choices and how much does a new orangery or conservatory cost? The differences between conservatories and orangeries. Modern orangery designs & orangery price guide. Modern conservatory designs & conservatory prices guide. Orangeries & conservatories Vs traditional home extensions. Orangeries, conservatories & planning permission. The biggest clues to look for in order to tell a conservatory from an orangery, are usually the type of roof and the use of solid pillars and columns. A classic orangery will feature a flat roof with a central raised glass lantern (or dome like structure). The edge of the roof also has deep fascia and hidden guttering. Orangeries typically use less glass and have walls that predominantly feature pillars, pilasters or columns. With a conservatory, the roof is typically sloped or pitched and comes all the way to the edges where it meets the sides of the room. Conservatories use a high proportion of glass. Where you see solid walls, they are very often low level dwarf walls. There may be no fascia boards and the rainwater gutters are in full view. Here you can see an orangery on the left and a conservatory on the right. Both orangeries and conservatories can be built from timber, UPVC or aluminium for the main framework. 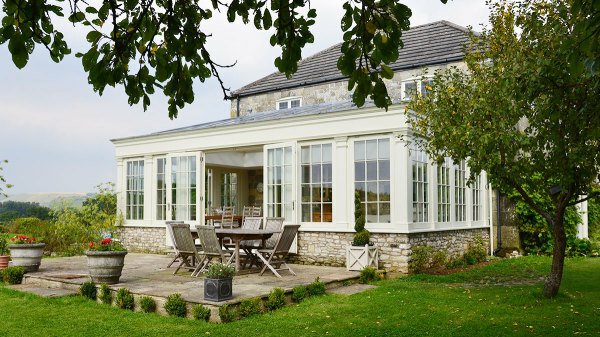 Orangery extensions: Designs & price guide. It seems that orangery designs are starting to polarise into either contemporary or classic appearance. With increasing numbers of homeowners looking towards creating a more modern look. A “traditional” orangery is a quite detailed, and in many cases an ornate room. The roofline, where the sides meet the roof has always featured deep fascia, corbelling and entablatures. Very often, the most popular theme or style for a classic orangery will be that of a “period room”. Period orangeries (and period conservatories) are so called because their appearance is based on that which was in fashion during the reign of a previous King or Queen of England. These designs quite often make use of French doors, sash windows, both of which feature Georgian or Astragal bars which work well with the overall ornate appearance. Traditional orangeries will also extensively make use of solid pillars. Contemporary orangery designs have moved away from the ornate, sometimes “fussy” traditional appearance, favoring more glass and minimalistic features. Although the pillars. pilasters, deep wide fascia’s and corbelling still have a place, the intricate detailing is less prevalent. Bifold doors seem to be the choice of many for a new orangery. The super-wide opening feature of a set of bifold doors working like a wall made of glass that can be slid aside during good weather. Colour is also a new trend. With the colour palette for both aluminum and UPVC now being quite extensive, white is no longer the obvious choice. Conservatory extensions: Design & price guide. Conservatories are reflecting much of the same design clues as orangeries. In that the much loved period conservatories such as Victorian, Edwardian or Georgian designs are now being joined by ultra-modern, architect designed living spaces. Frameless conservatories are the very latest design trend. By wider use of structural super strong glass, modern conservatories are being built in such a way that they are fast becoming known as the Glass Box Conservatory. 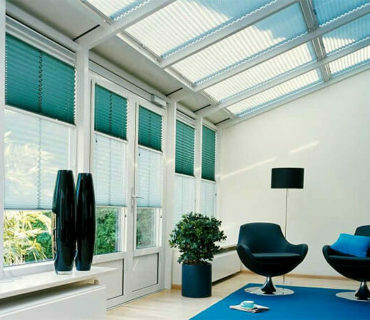 Advances in glass technology control UV or IR rays and manage heat loss or gain, allowing Glass box conservatories to be very comfortable to live with. Conservatory owners have also had their impact on the roof area, with solid or tiled conservatory roofs becoming more popular. Whilst the use of standard roof tiling materials remains a favourite, synthetic alternatives concrete tiles or natural slate are also appearing in greater numbers. Synthetic roof tile or slates (like Tapco tile have a 40-year guarantee! ), bring a range of colours, shapes and textures to the market that just were not there several years ago. As with the trend in orangery design, coloured conservatories are more often being seen. A favourite material to use for a new conservatory is UPVC and there are 2 types of colour options available. Both of these coloured finishes, when factory finished, are bonded onto the frames under heat & pressure. This makes them very durable, fade resistant and not likely to crack or peel off like paints do from timber. There are around 20 or so foil colours, but the RAL range goes to more over 150, plus you can add a timber grain effect. Orangeries & conservatories Vs traditional home extensions (single storey). Why build a conservatory or orangery instead of a regular bricks & mortar extension? Single storey extension – London & South East. Up to £2,000 per M2. So a 3m x 4m extension would cost around £24,000. Single storey extension – Outside London & South East. Up to £1,500 per M2. So a 3m x 4m extension would cost around £18,000. Professional fees can add another 10% to 15% (and possibly VAT at 20%). So for a basic single storey extension, by the time you add it all up, you could be looking at anything from £25,000 to £30,000 at least. Both orangery & conservatory prices can be found for £20,000 – A lean to conservatory, for example could cost half of that amount. The other element is the complexity of single storey extension construction. 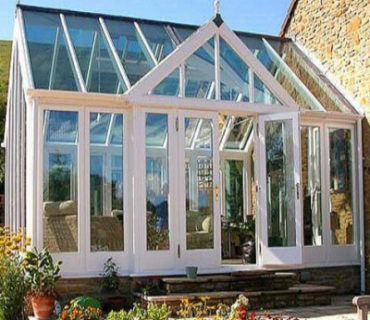 Conservatories are a big winner in this area. The simplicity of the frame and roofing of a modern conservatory means that it very often takes just a week or two from start to finish. Orangeries will take a longer time because they are more complex, but in most cases this is likely be considerably less than needed for a single storey extension. Another factor is that it is possible to have a conservatory or small orangery built without needing planning permission, not so for an extension. So, in a nutshell, orangeries and conservatories can work out cheaper than a traditional extension and be built quicker. We touched upon this subject earlier when comparing conservatories & orangeries Vs single story extensions. But it is worth a little more attention because the consequences of making a mistake with planning permission are costly and time consuming. The good news is, that quite a high proportion of conservatories or orangeries get built without the need for planning permission. However, there are some official guidelines to follow.